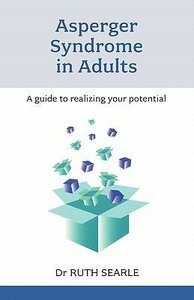 Addressing issues faced by adults with Asperger's syndrome, this book looks at the social potential of adults with Asperger's, exploring how they may contribute on their own terms. About "Asperger Syndrome in Adults"
Dr Ruth Searle is a biologist and writer with numerous published books on personal development, science and business. With her wealth of writing and editing experience, she founded Holly Blue Publishing in 2013. Her passions in life include animals, nature and art. She lives in the Welsh countryside.